At dhealth Dentistry we know the difference a gorgeous smile can make and believe composite bonding is one of the most effective treatments for creating a beautiful smile. This simple, quick treatment has been used for many years and can make a massive difference to smile aesthetics. The bonding process usually takes less than one hour and there is often no need for needles or anaesthetic. First, the affected tooth is cleaned and any debris removed to ensure the tooth is smooth. The area where the composite will be placed is then etched to ensure the bonding material will stick properly. We will then shape and mould the composite material to fill any cavity present or repair any chipped broken or misshapened tooth. This stage requires artistic skill and you can rest assured that you will be in expert hands at dhealth. Once the composite is in place it will be set using an intensive light source. This is not painful. When the composite has set it will be trimmed and shaped to ensure a perfect finish. 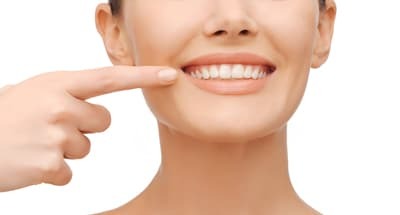 If you have longed for a more attractive smile or thought nothing could be done about the gaps between your teeth, or a chipped front tooth, composite bonding is sure to be the answer. Call us today in Melbourne to find out how we can help.